At Friday’s inauguration of Dr. Janet Gullickson’s as the sixth president of Germanna Community College, longtime GCC supporter Connie Kincheloe explained the satisfaction she derives from helping the students there, saying it doesn’t take much to make a difference in the life of a community college student: Having someone believe in them; words of encouragement–even a small donation can make all the difference. 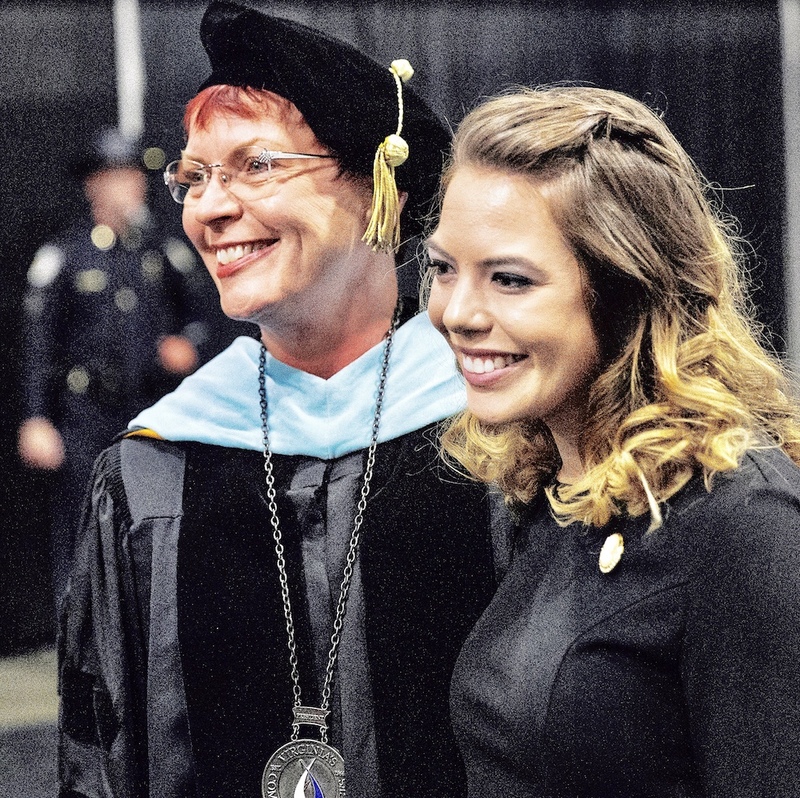 During the event, the crowd at the Fredericksburg Expo Center heard about a Germanna counselor who went out and sat in a car in the parking lot to encourage a prospective student suffering from such debilitating anxiety that she couldn’t bring herself to walk through the college’s doors. Kincheloe talked about the Germanna Scholars program and the Gladys P. Todd Academy, which provide scholarships that help high school juniors and seniors earn their associates’ degrees by the time they graduate from high school, saving their families tens of thousands of dollars when they transfer. “I’m here to tell you that it doesn’t take much to change a student’s life– in fact to alter the course of an entire generation,” Kincheloe said.”It does take involvement, ideas and support. Gullickson explained how a small amount of money can either stop community college students in their tracks or launch them toward success. “It doesn’t take much for us to be partners to create the futures we need to maintain the communities we love. But it does take something. Here’s an example. Being fiscally prudent, the Commonwealth requires that all students pay their bills before they go too far into the semester. Every year, higher education institutions drop thousands of students from all their classes even if they may owe less than $300. Think about that. For what the price might be for a nice dinner out with a couple of friends, hundreds of students lose their places in classes and their futures at Germanna each year.